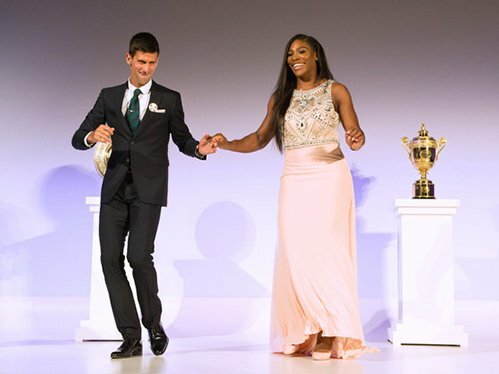 Tennis stars Novak Djokovic and Serena Williams won the Laureus World Sports Awards at a gala in Berlin on Monday. The 28-year-old Serb Djokovic won sportsman of the year for the second successive year coming ahead of football's Lionel Messi and the sprinter Usain Bolt after winning three Grand Slams in 2015 at Australia, Wimbledon and the US Open and also picking up six Masters titles. There was also joy for New Zealand's Rugby Union World Cup winning side the All Blacks, who beat Australia 34-17 in the Twickenham final.